When it comes to creating the ideal climate on board, Webasto is the only systems supplier to offer you a complete product range for heating, cooling, light and fresh air.We ensure that everybody enjoys the ideal on-board atmosphere. That’s what Feel the Drive means. 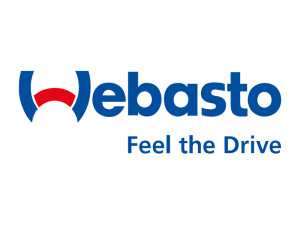 Webasto air heating systems are the ultimate choice when it comes to heating your leisure vehicle’s interiors efficiently and economically. The light weight and compact air heaters are easy and quick to install and can be used even whilst driving ensuring that you and your passengers arrive at your destination in a pre-warmed vehicle. 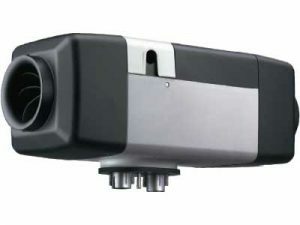 One of the smallest diesel air heaters on the market. Quiet, economical, powerful and reliable. Available as a complete installation kit. Available in 2 models – Evo 40 a 4kW unit or Evo 55 a 5.5kW unit – ensuring quick and efficient heating of cabins. 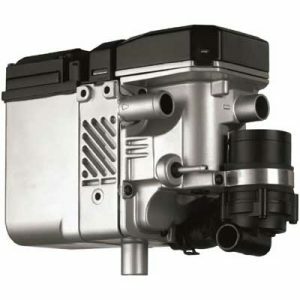 Energy consumption and noise are significantly reduced by the new control system and intelligent fuel pump operation. An automatic altitude compensation system is included as standard. Quick and easy installation makes the Air Top Evo an economical retrofit solution. The Air Top Evo 40/55 combines flexibility, functionality and product quality through innovation, while maintaining the traditional Webasto air heater design. Using the Webasto Dual Top Evo 6 means enjoyment of this revolutionary Webasto Comfort solution from just one fuel source. The Dual Top Evo 6 will heat up both your cabin and your domestic hot water. Designed to be installed either internally or externally, smart solutions are always simple. With the standard control unit, it is easy to activate operational modes like cabin heating and hot water, as well as the Antifreeze and the Autodrain functions. With the Webasto water heating system in your mobile home, and the heated air option, you’ll be thoroughly spoilt. The practical water heating system for kitchen and bathroom means you have a constant supply of hot water for showering, washing, cooking and washing up. Depending on how it is incorporated, this system can also be used to provide heated air throughout the living area, so you can enjoy the level of cozy warmth you want at little additional costs. All the comfort of home even in the middle of nowhere.